A-tisket, a-tasket, a stunning baby basket! Newborn babies have been put to bed in baskets pretty much since time began. But I’m betting none of those babies from long ago were ever put to bed in a basket as stunning – or as comfortable – as these designer models from newcomer Sleepi Spaces. Infinitely better than a basket made from bulrushes, these Moses Baskets will add that quintessential style element to your nursery. At bedtime, it’s easy to move the basket to your room for the peace-of-mind that comes with having your baby at arm’s reach overnight – something I found indispensable for those first few months with all three of my babies. 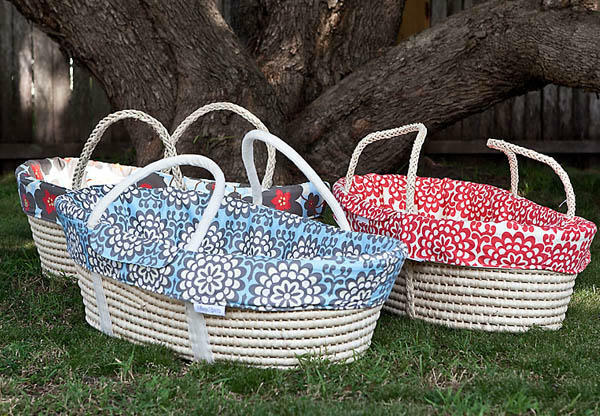 The baskets are made to age-old methods in Morocco but all that gloriously colourful linen is made right here in Australia after Sydneysider Johanna Dennis decided babies – and their parents – needed nursery options other than white. She launched her new company, Sleepi Spaces, just weeks ago to deliver her own modern take on a timeless sleeping option. Each basket comes with a beautiful set of matching linens custom made from the most incredible pure cotton fabrics. The shades of Monaco Blue, Martini Green, Morning Glory and Honeycomb, to name just a few, give away Johanna’s background in interior design. That, plus the fact that they look so damn good! The complete package includes a basket and stand with a baby-safe mattress plus a basket liner, soft fitted sheet, mattress protector and matching minky-backed blanket. 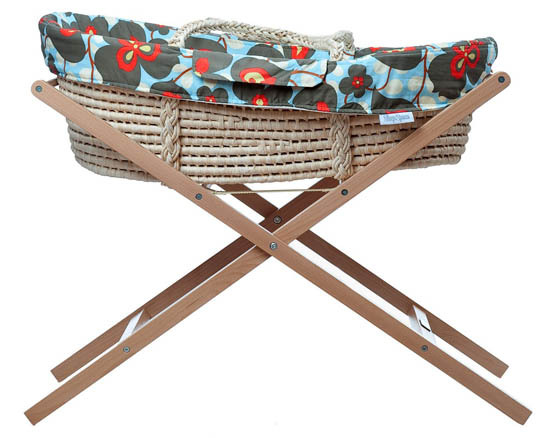 Baskets cost $219.95 with the rocker stand priced at $73.95 and the fixed stand at $63.95 from Urban Baby.